Hide deals from seller "MissFIT Complete, Inc."
June 6, 2012 from 6 p.m. to 7 p.m.
Limit 1 per person and 1 per transaction. Valid on the Fresh Air Fitness Challenge. Event takes place June 6, 2012, from 6 to 7 p.m. Arrive at 5:30 p.m. for registration. Includes demos of backyard bootcamp, outside intervals and active outdoor yoga classes. Promotional value expires June 6, 2012. 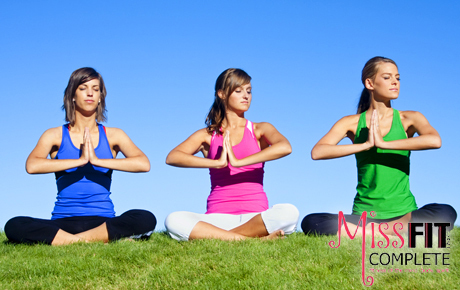 In business for seven years, MissFIT Complete offers women a personal and holistic approach to fitness and health. With services like personal training, group fitness classes, coaching, workshops and more, women can embrace a healthy lifestyle on their own schedule. Their expert staff is committed to aiding you in your quest for health, and they will tailor services to ensure your success. Find your fit with this deal. Fitness and health consultants offering women a new approach to fitness.